WW2 Veteran Heritage: Titanium strong, light on ego | Redux & Co.
A couple weeks ago, COURG crew member T. Dorman mentioned to me he recently lost his dad, who served in World War 2. I thought it was fitting to hear more about his dad’s life and service with an opportunity to pause on Memorial Day to remember those who served and also began the difficult work of healing and reconciliation after the storms of war. For many, including myself, WW2 is a history lesson, often portrayed in movies, but left out is the gravitas of the bravery, courage and humanity of those who served and later identified as the greatest generation. My Father served in WWII, so the COURG watch is wonderful reminder of an important time in our history and a great man. He was an officer in the 94th Infantry Div and an aide to one of the war’s significant generals. He was in the Battle of the Bulge and then, at war’s end, among the group who liberated the German prisoner of war camps. He was buried in Arlington National Cemetery with full military honors — a very fitting recognition for his military service. 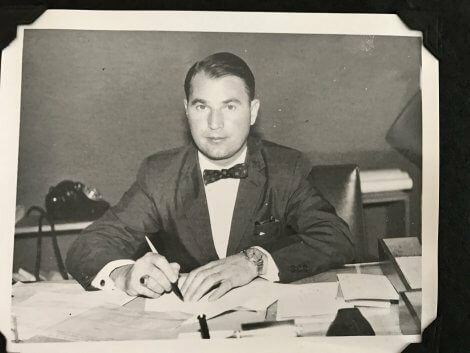 My father during his years as a diplomat; unfortunately, he’s not wearing a COURG watch; instead it’s a Carl F. Bucherer that he bought during the war in Germany with multiple complications. 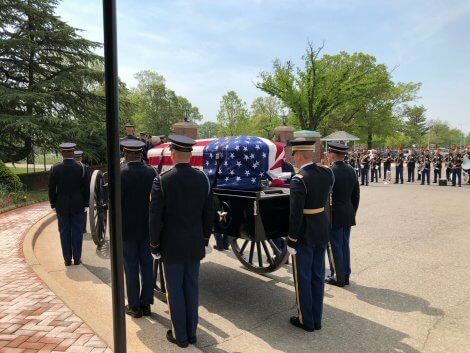 Here’s the short eulogy that I gave at the service held at the Post Chapel at Ft Myer, connected to Arlington National Cemetery. My father, P. F. Dorman, was just shy of 100 years old when he left us. In that time this remarkable man defined for us the meaning of a life well lived. He was an officer and a gentleman; a scholar and a diplomat, a devoted husband; a loving father and a caring friend; as well as a model citizen. His actions and values reflected the respect that he had for his family, friends, country and the greater world. He lived his life by what he felt were compelling principles: the golden rule, leave the world better than you found it; do the right thing; and help those in need. My father’s values were shaped by the times in which he lived and by his loving family. A child of the depression, my Father developed a strong work ethic and the importance of doing well in school – which was reinforced by his sister giving him a silver dollar for every straight “A” report card he received. World War II followed on the heels of the depression, and my Father like so many around him volunteered. His studies served him well; in short time, he become an officer and aide to one of the war’s significant generals. As a member of the 94th Infantry Division, he was a survivor of the horrific Battle of the Bulge and then, at war’s end, among the group who liberated the German prisoner of War Camps. Before returning home, at his General’s request, he served on the Allied Team to observe the Greek elections. After the war, he enrolled in Stanford University where his dorm monitor was Chief Justice Rehnquist and one of his classmates was Justice Sandra Day O’Connor. He graduated in two years, and joined the Foreign Service as a Russian Studies major. His first post was Moscow, then London, where he met and married my Mother and my brother, Mark, was born. Then assignments in Egypt, Iran, Zambia, Sudan and Bangkok. In between, he attended the National War College. Post retirement, he served as the Deputy Chairman of the Foreign Service Grievance Board and then became a National Arbitrator. My father’s selfless nature put the needs of others before his. He was fond of saying, “what’s good for you, is good for me.” He listened more than he talked, but when he did it was thoughtful and loving. You felt his kindness and caring and I’m sure that this rings true with your experience with him. While he was unable to attend my Mother’s service in this same Chapel, he was so at peace knowing that she was surrounded by friends and family accompanying her to her new home. And now they will be together again. Thank you, so much, for joining us in reuniting them today. Burial with Honors, Arlington Cemetery. I think it’s a truism among those that saw massive carnage that they developed a heightened perspective for life and what is really important, at least this was true for my dad. He didn’t talk at length about liberating the concentration camps; he did share that he helped to free prisoners. Like your watch, he was titanium strong, but light on ego, he carried forth a heritage of the past, but was understated, bold and courageous, and believed in missions that left the world better than he found it. 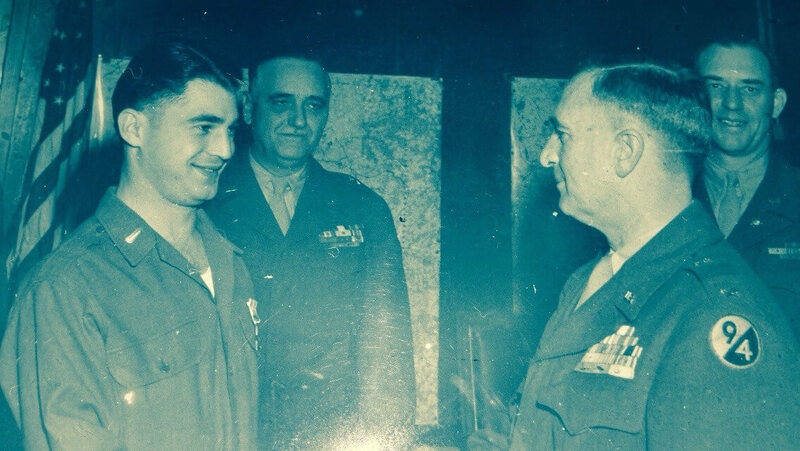 This entry was posted by pilot in Life Skills and tagged Army, memorial day, service, soldier, vet, veteran, world war 2, ww2, WWII.